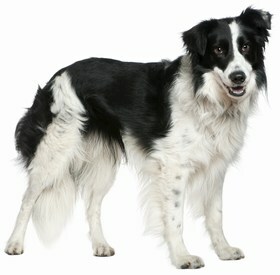 The Miniature American Shepherd is considered a fairly healthy breed. When it comes to your puppy’s health, you want to make sure that you work with a breeder who performs the appropriate tests and screenings. An irresponsible breeder will not care if their dogs have recessive genes or conditions that can be passed down to the pups, whereas a reputable breeder will. While the Miniature American Shepherd is considered to be healthy, there are some medical conditions you need to be aware of, just in case. Some of those conditions include hip dysplasia, cataracts, patellar luxation, collie eye anomaly, epilepsy, hearing problems, vision problems, and spinal defects. Hip dysplasia is a disease that is present in many dog breeds. It is a painful condition and occurs when the hip joint or socket are not properly formed. 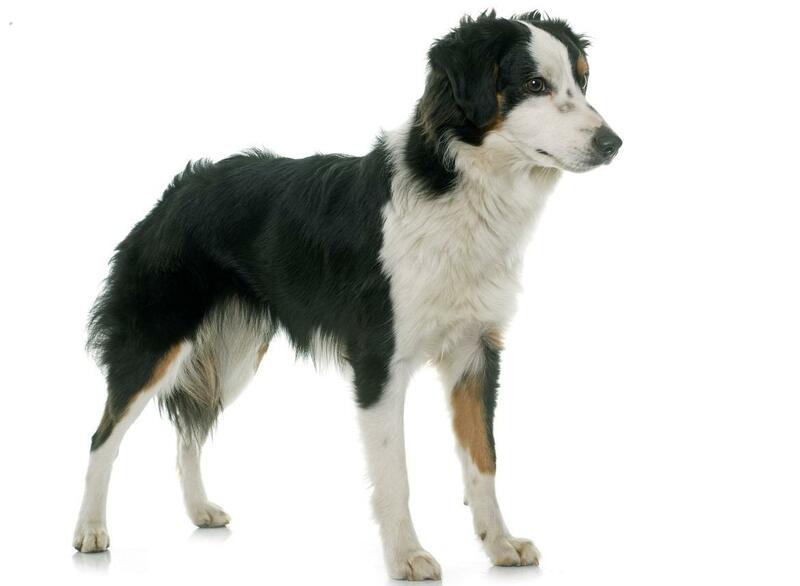 The condition can lead to arthritis and, in severe cases, can cause crippling pain for your Miniature American Shepherd. Cataracts tend to develop in older dogs, but your puppy can be born with them as well. They are normally inherited from the parents, but trauma can cause them to form as well. 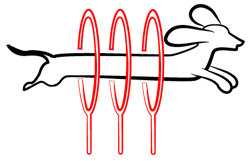 Sometimes, surgery can be performed to remove them. Cataracts will lead to blindness in either one or both eyes. 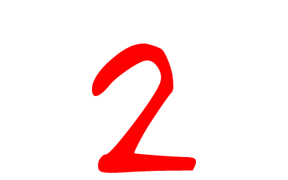 Patellar luxation is a knee dislocation and often occurs in small breed dogs. When this occurs, you may notice that your pup’s limb is lame and he or she may not use it as much as he or she used to. It is important that you take your pup into the vet to get this problem solved. Collie eye anomaly is an inherited, congenital disease that affects the sclera, retina, and choroid of your pup’s eye. This disease causes blindness in your pup in advanced forms. Mild forms of the disease may not lead to blindness. Epilepsy is a neurological condition in your Miniature American Shepherd. When your pup has epilepsy, he or she will have seizures that may or may not result in the loss of consciousness. Hearing problems may be present in your pup and it is important to have him or her screened to ensure they can hear properly. A hearing problem does not always mean your pup is deaf, but he or she may be hard of hearing or partially deaf. Vision problems are another issue that may arise. We have noted cataracts and collie eye anomaly, but your pup may develop other conditions such as PRA or similar. Lastly, your pup may have a spinal defect, which can lead to complications in growth and your pup may or may not be able to walk properly. The Miniature American Shepherd has a life expectancy of 12 to 15 years. The Miniature American Shepherd is considered to be a friendly and sociable dog that likes to be around people. This breed does well with children and is extremely loyal to his or her family. You will not find this pup working to protect your home as a watchdog. In fact, your pup may even welcome a stranger into your home with a wag of the tail. This breed is extremely intelligent, which also means that he or she is also quite easy to train. You will find that you need to be consistent and firm, since a stubborn streak may occur once in a while, but it is not something you are unable to work past. It is recommended that you socialize your Miniature American Shepherd early on in life to ensure that he or she does not display any negative behaviors. This will also ensure that your pup gets along well with children and other pets within your home. 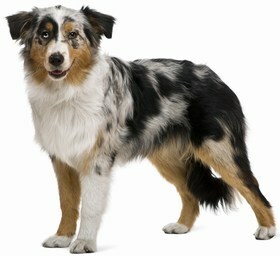 The Miniature American Shepherd is a wonderful working dog and actually enjoys working. This breed has good guardian instincts and is a strong herder. You may catch him or her trying to herd small animals or children in your home. Exercise is necessary, and this breed does best in a home with a yard. With that said, you can live in an apartment with the Miniature American Shepherd, but you need to make sure that he or she gets a lot of outside time and daily walks. The Miniature American Shepherd does have some moderate grooming needs. 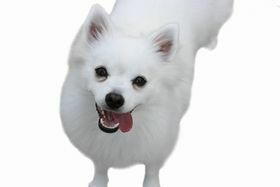 You need to brush your pup’s coat at least once per day or more if you do not want your puppy to shed a lot. When you do brush your pup, make sure to look for any mats and tangles and remove them at this time. You do not need to bathe your pup on a regular basis and it should only be done when your dog really needs it. If you do bathe your pup, make sure to choose a mild shampoo that will not strip the oils from your puppy’s skin. In addition, you need to clean your pup’s ears once per week to prevent infection and trim his or her nails once per month to prevent overgrowth. 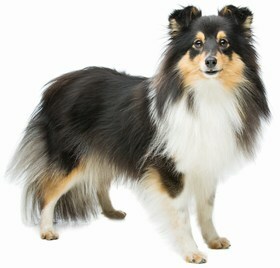 Your Miniature American Shepherd will consume anywhere from 1.5 cups to 2.5 cups of dry food per day. You should feed your pup a high-quality dry kibble that contains wholesome ingredients instead of by-products and fillers. Looking for a Miniature American Shepherd? A Miniature American Shepherd puppy will cost you about $900. The price of the puppy will also depend on the demand for the breed and the breeder. It is unlikely that you will find this breed in your local shelter since it is a bit rare, however this is a good place to start your search. Ranking takes into account a few basic factors including cost, skill level needed, high vs low maintenance and how critical regular training is to success. The Miniature American Shepherd will make a good house pet and likes children and other pets. While he or she may be a bit wary of strangers at first, your pup will open up and enjoy the company around him or her. Training is easy and you will find that your pup listens to your commands and wants to perform for you. This breed ranks a 2.